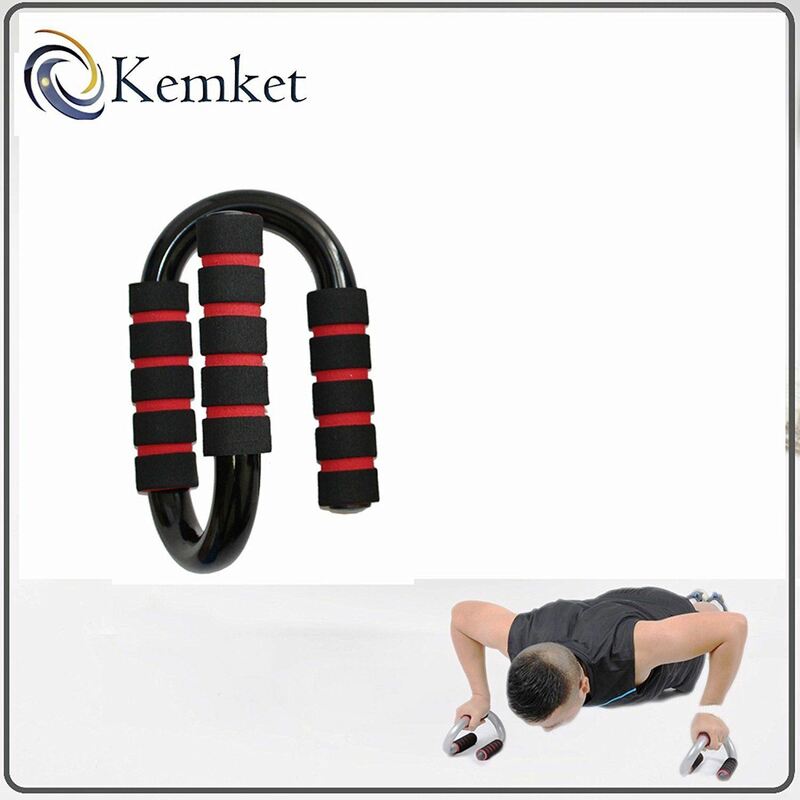 Kemket Push-Up Bars are great tool to develop your upper body strength, arms, legs and stomach. By gripping the handles of the stands, you will enjoy a greater range of motion during push-ups, helping your muscles develop even more efficiently. Great for working out chest, biceps and triceps muscles, shoulders and back. 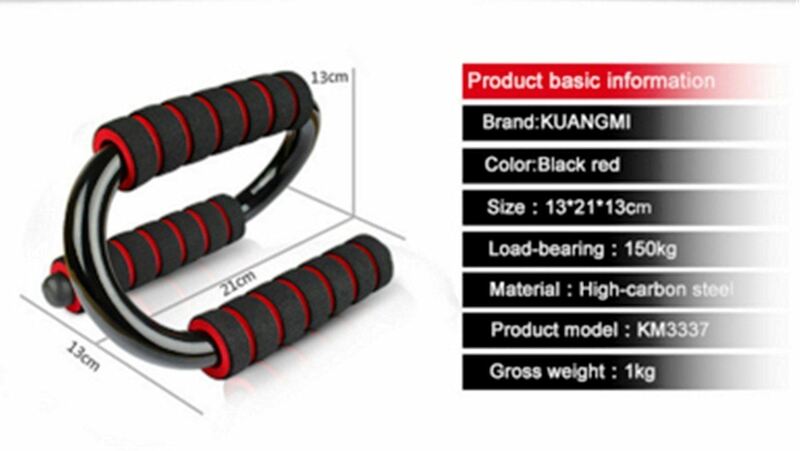 Strong, durable steel bars and very stable have no fear that they'll break, bend or collapse Benefits:- Traditionally, push-ups are done with your hands on the floor without any equipment. Push-up bars allow you to do push-ups raised above the floor, which is great for 4 reasons: 1) You protect your wrists and hands from injury. Doing push-ups without bars puts a lot of stress on the joints and tendons in your hands and wrists, because you force your wrists to be at a 90 degree angle to your arm. This can lead to injury and persistent pain. 2) Increased range of motion. Because push-up bars raise your up above the floor, this allows you to go lower in your push-ups, activating more muscles and getting more out of every repetition. 3) You get a better workout for your forearm muscles, because you're gripping the push-up bars instead of having an open palm. 4) It is easier to position yourself for proper push-up technique and form due to the extra stability. If you want to get the most out of your workout with the best range of motion, and prevent wrist and hand injury, then push-up stands are a great investment. 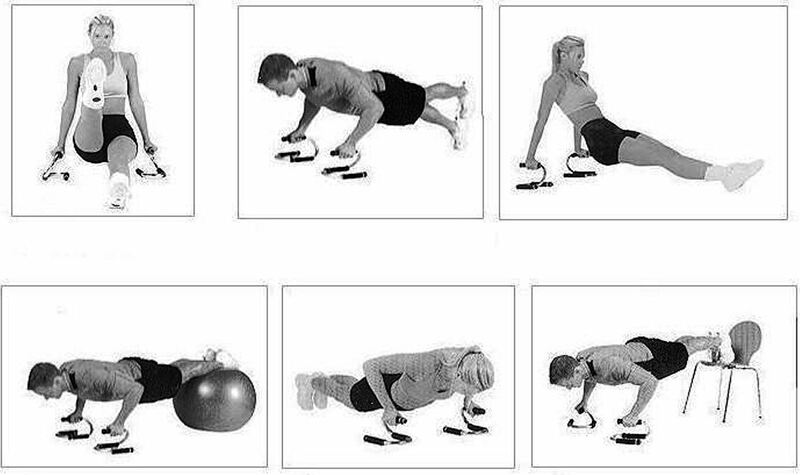 Push-up bars are also very easy to use - simply grab onto the handles and perform push ups as you normally would. Slip-resistant foam covered handles for comfort. Improves strength in your upper body,arms,legs and stomach. • Designed to improve your positioning for push ups. Soft foam grips, comfortable to handle. 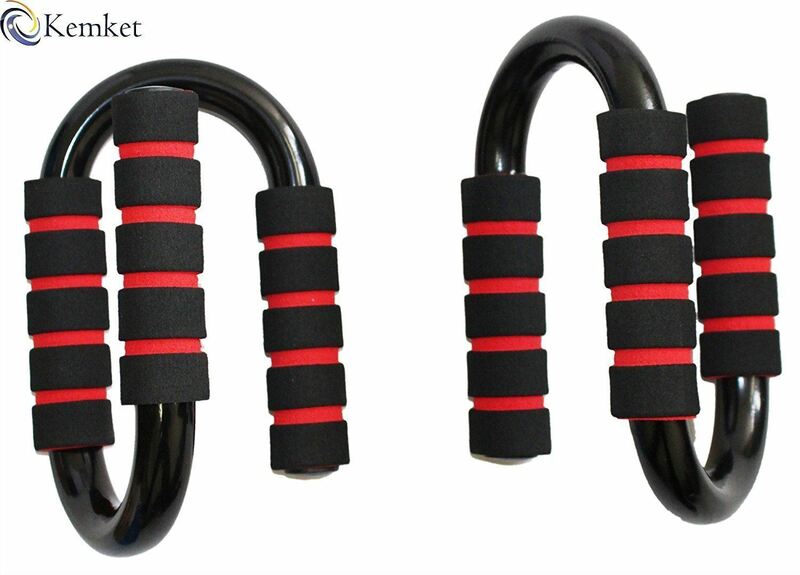 • Secure grip reduces stress on wrist and forearms. S shaped, symmetrical design which can be used in three different ways. 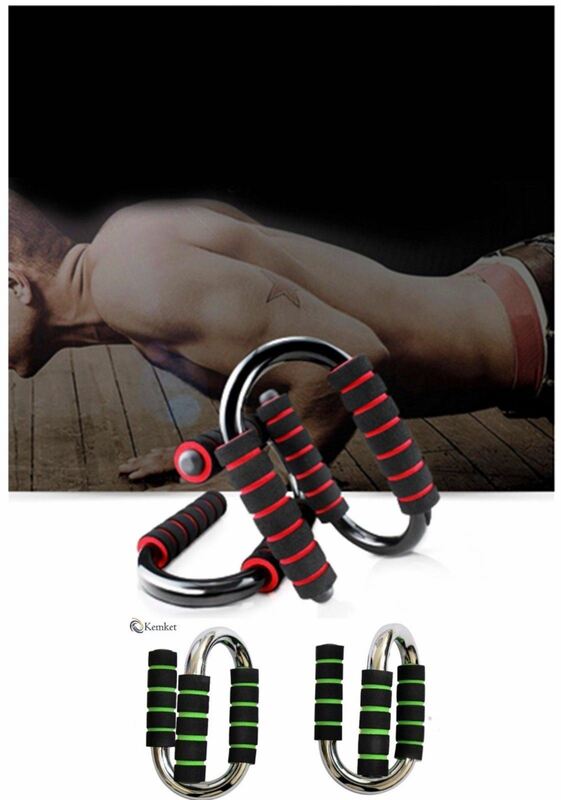 • Greater range of motion, deeper pushups and more push-up positions for varied muscle use. Increases range of motion. • Made from High-end Plated Steel. Foam handle for more comfort.